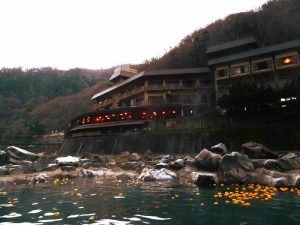 In Japan, hidden hot springs bubble up everywhere, and for hundreds of years Japanese people have enjoyed them mainly for health benefits and socializing. 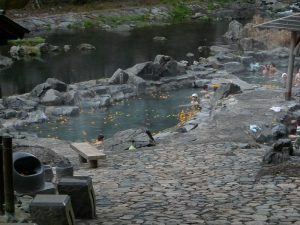 Bathing at onsen/hot spring is a great way to enjoy Japan, not just to try the various types and experience their reputed beneficial physical effects, but also to enjoy their natural settings and perhaps a leisurely stroll around the spa towns where they are often located Japan`s countryside. 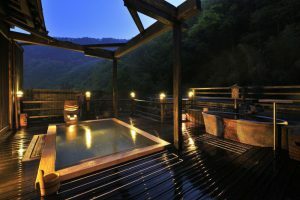 Everywhere in Japan, visitors will find hotels and traditional inns or day spas with onsen for their enjoyment. Hakkei hotel is located just in front of Yubara Hidden Hot Spring with international tourists facilities. Recently we have many guests all around the world, popularly from America, Canada, England, Hong Kong, China, Korea, Malaysia, Indonesia, Macau, Taiwan, Turkey etc.. We are waiting for more guests to stay with us & see Japan`s countryside beauty, Japanese Culture, Hidden Hot Springs & Hakkei Popular Japanese Cuisine made by our Master Chef from 50 kinds of Vegetables & Sea food..
Japan’s hot springs are often found in natural settings, among mountains, along the seashore or in narrow valleys, which add appeal to the bathing experience. 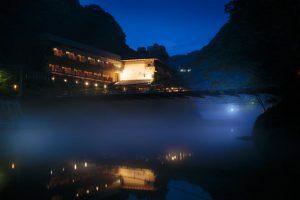 In the best-known onsen resort areas, little towns with restaurants, souvenir shops and tourist attractions have sprung up around the main hot springs facilities and feature a distinctive atmosphere. 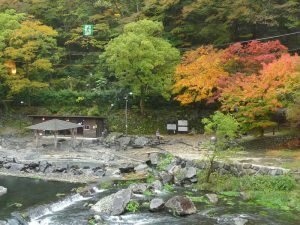 Among the most famous spa resort, Hidden Hot Spring - Yubara Onsen in Maniwa is very popular for relaxation and sightseeing among Japanese and overseas visitors. See you soon & share Hakkei`s hospitality with care..